Health Secretary Vaughan Gething has welcomed the encouraging response to a new HIV prevention drug, after the first year of providing it through the NHS in Wales. 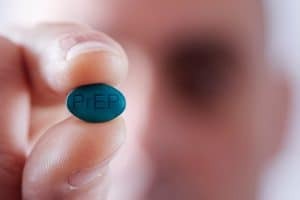 Health boards in Wales started providing Pre-Exposure Prophylaxis (PrEP) in July last year through sexual health clinics as part of a three-year study. The antiretroviral medication can be provided to at risk, uninfected people to prevent them getting HIV. The Welsh Government asked Public Health Wales and an independent HIV expert group to run the study to provide evidence for the acceptability and effectiveness of PrEP in HIV prevention. In the first year of the study (July 2017 to end of June 2018) 559 people have started the treatment and no-one on PrEP has contracted HIV. The national approach to PrEP and HIV prevention in Wales contrasts with England, where a national approach is not being taken and a charity is looking to raise funds for PrEP treatment. PrEP is only part of the strategy to reduce new infections of HIV. The reduction in new infections continues to fall, with the latest data (May 2018) showing that new cases of HIV fell by 24% in the last quarter of 2017 compared to the last quarter of 2016. Vaughan Gething, said: “I am pleased that sexual health services in Wales have embraced the opportunity that PrEP provides and the early results from the study are encouraging. No new cases of HIV have been reported in those who have started taking the medication. “Wales has seen a sustained decrease in new HIV cases. There is no doubt that PrEP reduces rates of HIV infection when taken correctly and supported by wider, preventative sexual health services. It can help to reduce overall HIV transmission and infection rates. I look forward to seeing further results as they emerge.